This company has provided great cabinets with much amazing low price, and the salesmen are very helpful too, I love doing business with them. I have been using J & K cabinets for 2 years. The price is for the project covers many projects. Average projects are around $7000. 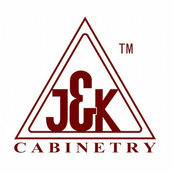 I refer all my customers to J&K Cabinetry. I've always had a great experience the staff is helpful and timely.